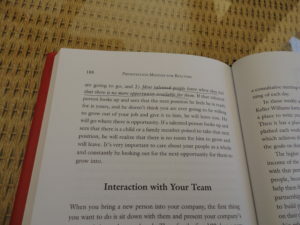 Today, I am going to share a book review on Presentation Mastery by Linda and Jim McKissack and Tony Jeary. This is a book for realtors. Don’t let that bother you if you’re not a realtor. 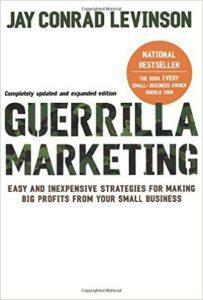 I believe this to be one of the top five marketing books I have ever read. And, I believe the information in this book would significantly benefit EVERY network marketer and small business owner, regardless of their industry. This book is fun and simple to read and is LOADED with great content. You can study the material in a few hours and learn tons of great marketing ideas for your business. Let’s face it, marketing is the key to success is just about any business. Show me someone who can generate endless leads on demand, and I will show you an entrepreneur who can make money. PERIOD. If you want to learn marketing, and learn how to get more leads, you should own a copy of this book. I know you will find it very helpful. Listed below are my favorite quotes from Presentation Mastery for Realtors. Each quote is in bold and italics. After each quote I will share my own two cents on the topic. Enjoy. # 1 If you want to go to the highest level, training is an investment you simply can’t afford to sacrifice. All successful entrepreneurs are a student of their own business and industry. They are always looking for ways to master new skills and gain a competitive advantage over the competition. # 2 Building a database is one of the most valuable things you can do as the CEO of your business because it is the only real asset you have. The money is in the list. As the CEO of your own business, start building a list today and never stop. Build a list. Build a relationship with your list. And then monetize your list. The bigger your list, and the better the relationship you have with your list, the more money you will make! # 3 People want to do business with successful people. People want to work with the people who are at the top of their game, not with people who are struggling. Would you rather list your home for sale with the brand new realtor who has never sold a home before, or with the top agent in the office? # 4 We have found that the best way to interact with a client is with what we call the consultative style presentation- finding out all you can about your clients and focusing on them with questions like: what are their needs, what is important to them, how can you best serve them and meet and exceed their expectations, etc. Be an adviser, not a salesperson. Focus on helping other people solve their own problems, rather than just trying to make a sale. Figure out what people want, by asking questions, and then show them how your product, service or opportunity will help them get what they want. # 5 Our research has shown, that we have to drip on people eight times before they will pick up the phone and call us. Most people will need multiple exposures and multiple follow-ups before they decide to buy from you. Find a way to stay in touch with ALL of your prospects a few times each month. Most businesses are really bad at doing this, so this is a simple way to stand out in the crowd. # 6 There are two reasons people take action. One is out of fear, and the other is opportunity. These are the two reasons people buy, or choose not to buy. Focus on appealing to people’s emotions. Show them what they have to gain and they might be excited, but show them what to lose and they will do everything in their will power not to miss out. # 7 Third party testimonials are a powerful way to add influence to your presentations. Use testimonials in all of your presentations. People might not believe what you say, but they will believe what someone else says about you. # 8 The best time to ask for a reference, of course, is at the end of a successful transaction when the clients are happiest. Whenever you make a sale, or sponsor a new distributor, immediately ask for a referral. That is when they are most likely to give you one. # 9 Remember, the more you know about the people you are presenting to, the better your presentations will be. Tailor each presentation you give specifically to the person you are talking to. Find out what you can about them BEFORE you start a presentation, and then adjust your presentation to best fit their needs and wants. # 10 Learn from and model others. Find someone who has what you want and then go out and do what they did. That is the fastest way to achieve success. # 11 If prospecting is you going to the client and marketing is the client coming to you, which way would you rather have it? Learn marketing so you can get your phone ringing. Both prospecting and marketing work, but I enjoy having people call me first. That makes selling a lot easier. # 12 Prospecting is simply a numbers game, and your success depends on the number of people to whom you actually make presentations. You can solve any problem in your business simply by giving more presentations. You’re like a miner looking for gold. The more rocks you turn over, and the more dirt you sift through, the more gold you will find. # 13 We suggest that you design your marketing plan and stick to your plan as closely as possible for at least 12 months. Create a plan and stick with it. You have to give it enough time to work. Testing a marketing idea one time, or for a couple of months, is not enough time to see if it will turn out as a success. # 14 Sometimes it can take 90 to 180 days before a campaign even starts to work, depending on the group to who you are marketing. Be persistent and consistent with your marketing efforts. Good things take time. Rome wasn’t built in a day. # 15 It is very important to set up systems from day one to track where your business comes from because this information tells you where to budget your marketing money for the next year. Track all of your advertising, lead generation and prospecting efforts. That way you know what works well and what doesn’t work well. If you don’t track it, you will never know what is working! # 16 Ask people what you can do for them. Really, it’s all about giving to someone before you ask to get something. Have a servant mentality and focus on giving to others before you expect anything in return. This is key to creating win-win relationships. # 17 It is really a numbers game, and the more alert you are to keeping a business mentality when you meet people, the more your numbers will grow. Work the numbers and the numbers will work themselves out. # 18 Remember, whether you are talking to people face-to-face or over the phone, you are not there to give them a sales presentation in that first encounter. You are simply focusing on getting an appointment. Sell the appointment first and then let your appointment sell your product, service or business opportunity. This is one of the most important lessons in the book. # 19 When you look at your database, if you see mostly people are a four, five or six on the motivational scale, it would be better for you to go out and meet new people who are highly motivated, rather than trying to breathe life into the ones you have. They are the only ones who can change their motivation – you can’t. Look for motivated people, rather than looking for people you need to keep motivating. You can only lead a horse to water, but you can’t make it drink. # 20 If you are going to be in the business of meeting and exceeding your clients’ expectations, you have to find out what those expectations are. Always find out what your prospects want and expect, and then tailor your presentation to those needs. # 21 It takes a face-to-face meeting to build a relationship of trust. Whenever possible, meet with your prospects face-to-face. This is much more effective than doing everything over the phone or internet. # 22 So we learned over the years to train our clients to call us directly and give us the referral name, so we can contact them! Then we immediately reward the person who gave us the referral. Don’t have your customers and prospects simply tell other people about what you do. Instead, have them call with you the names and the contact information of the people they think might be a good fit for your business, so you can follow-up with them at your convenience. # 23 Just remember that every touch you make with your past clients leads you one step closer to another referral. Most prospects will need multiple follow-ups and multiple exposures before they buy your product or service, or join your team. # 24 Money should never be more important than your clients’ needs. Focus on serving and helping others and the money will follow. # 26 The bottom line is, if you are struggling in this business, you have not yet defined your basic reason for entering the business. You need a WHY that makes you cry. You need something that lights a fire within you. If you don’t have a big enough WHY, you will quit when things get tough. # 27 Think big, be different, and be bold. Look at what the masses are doing and do the opposite. There is greatness within you. Stop selling yourself short. Step out of your comfort zone and pursue your potential. Overall, I give this book a 10 of 10. I love this book. It is one of my favorite marketing books of all time. 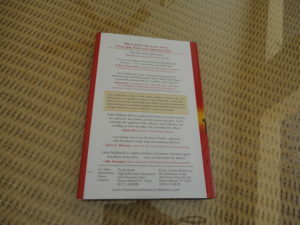 The book is fun, easy to read, and well organized. You can read the book in a few hours. There is no fluff or redundancy. If you don’t own a copy, you should go on Amazon and buy a copy right now and study it! You’ll be glad that you did. Linda and Jim McKissack are top realtors® in Texas. Their McKissack Realty Group has been the # 1 selling agency in Denton County Texas for more than a decade now. They consistently rank in the top 10 for Keller-Williams Realty International. They sell over $60 million in volume per year, and close in excess of 375 units per year. You can visit the McKissack website here. In review, Presentation Mastery is a must read book. Linda and Jim McKissack and Tony Jeary have really hit a home run with this book. Whether you are in real estate, network marketing or small business, you should study this book and apply what you learn in your own business. I know it will help you. On a side note, what are your thoughts? What is your favorite quote mentioned above? Leave a comment below to let me know what you think. I look forward to hearing from you. Have a great day.